Elektra Press – Page 4 – Publishing the finest new authors in the world–particularly debut and minority authors. “Where did Hillary go?” the President asked, looking around. He was in the middle of a short speech about democracy in Burma, standing on the porch of Aung San Suu Kyi’s house in Rangoon. “Where is she?”It was November 2012, and we were on our final trip together as President and Secretary of State. I waved from off to the side and caught his eye. “There she is,” he said. As he thanked me, I thought about how far we had come from that day more than four years earlier in Dianne Feinstein’s living room. Like our entire last trip together, it was a moment of bittersweet nostalgia, of satisfaction in what we had accomplished, delight in the partners we had become, and sadness that it would soon be over. 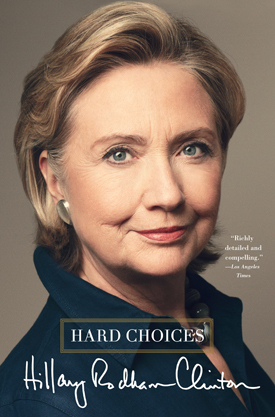 via A New Chapter | Hillary Clinton. A FURTHER 68 INDEPENDENT BOOKSHOPS HAVE BEEN GRANTED £120,000 FROM THE ORIGINAL £250,000 FUND ANNOUNCED IN JUNE 2014Bestselling author and bookshop devotee, James Patterson, has announced the second round of independent bookshops in the UK and Ireland to receive grants following his pledge to donate £250,000 in June 2014. Over £130,000 has already been allocated to 73 independent bookshops across the UK and Ireland following the first round of applications in September 2014. The remaining grant allocation of £120,000 has now been allocated to a further 68 bookshops, enabling even more initiatives to get underway that will help get children reading. via Book Trade Announcements – James Patterson Announces A Further £250,000 Donation To Independent Bookshops In The UK And Ireland Taking His Total Donation To £500,000. Simon & Schuster UK is reviving 150-year-old imprint Scribner. After 10 years “lying dormant” in the UK, and 150 years after it first began, Scribner will relaunch in June. The imprint—which continues to flourish in the US, where it enjoys a strong brand—will publish six to 12 titles a year, beginning with the paperback of Graham Swift’s England and Other Stories on 4th June. Three novels in hardback follow: Tim Lott’s The Last Summer of the Water Strider (18th June); Benjamin Wood’s The Ecliptic (July); and Alice Hoffman’s The Marriage of Opposites (August). via S&S UK revives Scribner | The Bookseller. As the Badger basketball team headed into the NCAA Final Four games two weeks ago, a librarian named Anna Lewis launched a crowdfunding page to give an “off-court assist” to another prized University of Wisconsin property: the Dictionary of American Regional English. “DARE is in danger. Their funding has nearly run out,” the page warned. By the following week, the campaign had raised $4,000. 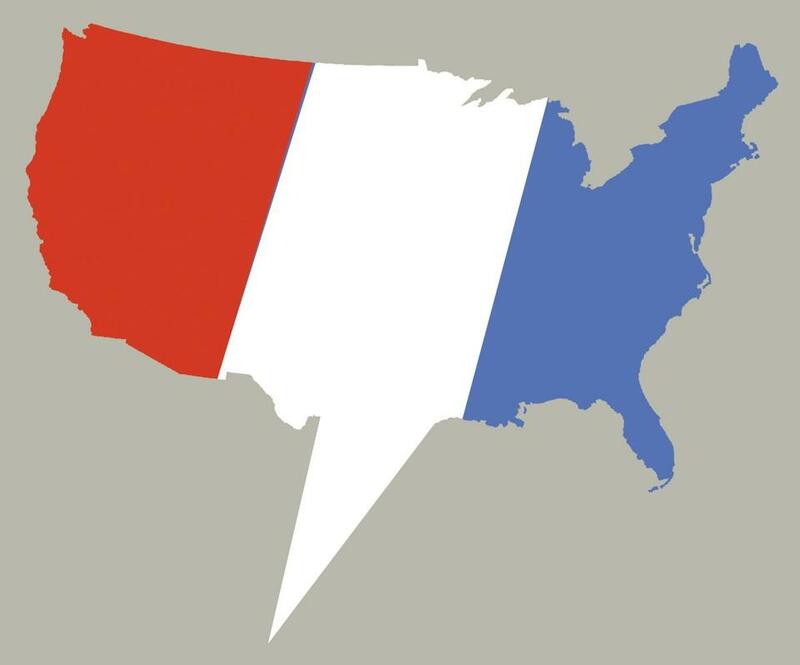 But that is a fraction of the $425,000 that chief editor Joan Houston Hall says she needs to continue this half-century-long project to study how Americans talk. Unless a benefactor appears, what American Dialect Society executive secretary Allan Metcalf recently called the “greatest American lexicographical project of the latter 20th century” is scheduled to wind down in June. via Dictionary of American Regional English out of funds – Books – The Boston Globe. 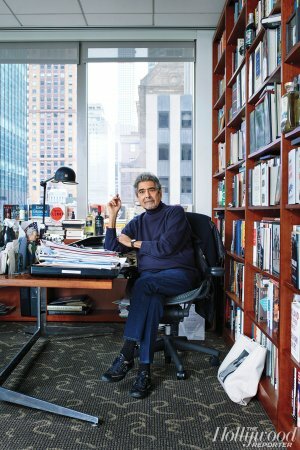 The Midtown West office of India-born, British-educated Sonny Mehta, 72, reflects his cosmopolitan upbringing and eclectic literary tastes. A vintage cricket bat is propped in a corner, while a Bill Clinton bobblehead rests on his coffee table (Knopf published the president’s memoir). On the floor-to-ceiling bookcases, Fifty Shades of Grey, Toni Morrison, The Girl With the Dragon Tattoo and Graham Swift can be found on the shelves. It’s an unsurprising mix for an editor long known for an equally good eye for both high- and lowbrow fare. “What can I say? I’m a book junkie,” chuckles Mehta, who personally edits about 10 out of 120 books put out annually by Knopf, a division of the world’s largest publishing company, Penguin Random House, which boasted $3.6 billion in 2014 revenue. via Knopf Editor Sonny Mehta Keeps ‘Fifty Shades of Grey’ on His Office Shelves – Hollywood Reporter. 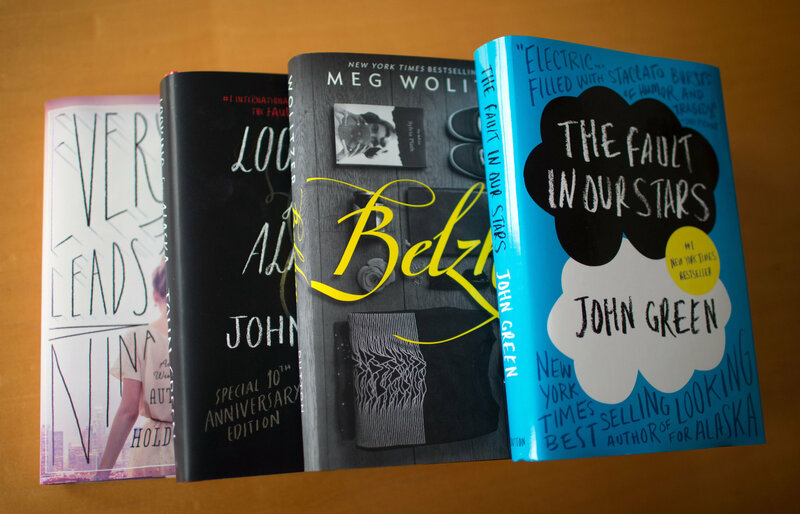 via Her Stinging Critiques Propel Young Adult Best Sellers – NYTimes.com. The sports-bro solidarity has been achieved: Jeter Publishing, Derek Jeter’s publishing partnership with Simon and Schuster, announced that it will publish a book by Rob Gronkowski. It’s Good to be The Gronk, which is apparently really what they’re calling it, will “take the reader from the locker room to the VIP room,” according to a press release. via Derek Jeter’s publishing house will publish Rob Gronkowski’s book | For The Win. 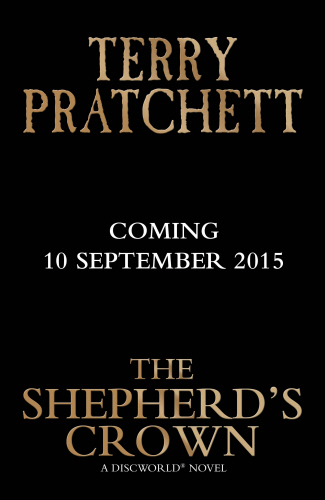 This September Penguin Random House will be publishing The Shepherd’s Crown, the final Discworld novel by Sir Terry Pratchett. Editor Kirsten Armstrong bought Exclusive World All Language rights (excluding US, US dependencies and Philippines) from Colin Smythe of Colin Smythe Ltd. The Shepherd’s Crown is the fifth Discworld novel featuring young witch Tiffany Aching. Previous titles in the Tiffany Aching sequence include: The Wee Free Men, A Hat Full of Sky, Wintersmith and I Shall Wear Midnight. via The Shepherd’s Crown: Penguin Random House to publish final Discworld novel from Sir Terry Pratchett | | Terry PratchettTerry Pratchett. Three authors have begun a federal class action suit against Penguin and its self-publishing services provider, Author Solutions, seeking damages of more than $5 mn. Says Publishers Weekly: The suit, which seeks class action status, alleges that Author Solutions misrepresents itself, luring authors in with claims that its books can compete with “traditional publishers,” offering “greater speed, higher royalties, and more control for its authors.” The company then profits from “fraudulent” practices, the complaint alleges, including “delaying publication, publishing manuscripts with errors to generate fees, and selling worthless services, or services that fail to accomplish what they promise.” The suit also alleges that Author Solutions fails to pay its authors the royalties they are due. Publishers Weekly reports that the suit has been filed in the Southern District of New York and will be heard by Judge Denise Cote, who is current hearing the ebook price-fixing case. via Penguin And Author Solutions Sued For Deceptive Practices. Nearly five years ago, a chirpy, animated 16-year-old named Paige McKenzie uploaded a 68-second video to YouTube. “Hey everybody, so, I know this is a little strange,” she says, then confides that her house is haunted and she aims to capture the ghost on camera. Continue reading the main story ‘We Moved Into a Haunted House’ Video by The Haunting of Sunshine Girl NetworkMore than 130 million views later, Ms. McKenzie’s mockumentary web series, “The Haunting of Sunshine Girl,” has become a full-time job. Each week, Ms. McKenzie spends 80 hours shooting, acting in and editing the show, and frenetically trading messages with viewers. via YouTube’s ‘Sunshine Girl’ Comes to Print – NYTimes.com.